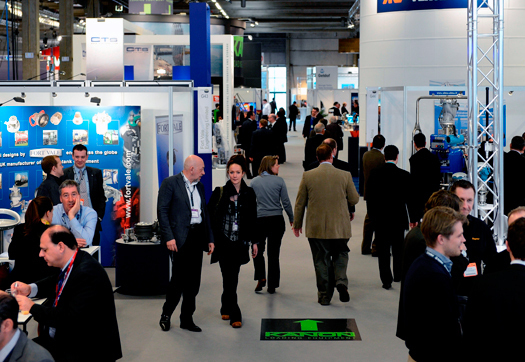 BRUSSELS (BE) - StocExpo 2015, the largest dedicated event for the world’s terminal operators, oil companies, traders and regulators, returns on 17-19 March at the Ahoy, Rotterdam, with over 200 leading international suppliers, all looking to showcase their latest innovations to the wider market. Emco Wheaton will be showcasing its brand new TODO Break-Away range, including its Marine Break-Away Coupling, which has been robustly designed to withstand harsh marine conditions. Also on show will be its Collar Release range, designed for use with loading arms and a hose, rather than two hoses. The Collar Release is engineered to disconnect, if the loading arms travel past the customer designated breakage position. Similarly, the ABVL breakaway couplings, from Roman Seliger, prevent industrial accidents, protecting hoses and pipework from excessive loads, including non-axial forces which can reduce a hose’s breaking strain. For those looking for the newest tank technology, Protego will be introducing its PM-HF pilot-controlled pressure and vacuum relief valve. The PM-HF allows pressure settings of up to 15 psi to be made and boasts an extreme seal-tight capability. The valve is now available in a soft-seating configuration and can be put to service in applications where temperatures are as low as minus 196°C. Elmac Technologies will be exhibiting its new LCA and LEA series of flame arresters, designed to prevent the spread of pipeline explosions in their initial stages, when flame velocities and associated pressures are at their lowest. The new ranges minimise the impact of using a flame arrester on the process, meaning higher flow rates are achievable with smaller flame arresters, plus they are small, light and easy to maintain. Safety is always a key factor within the tank storage sector, so the FUXS stand is a must see. On display will be its eXess Floating Roof solution, which can extinguish tank storage fuel fires by stopping the flames, and reducing temperature and energy. It combines an aluminum mesh and fire suppression product with a high quality foam product, which smoothers the fire and prevents oxygenation. Hempel will be using the show to showcase its HEMPADUR AvantGuard, a portfolio of three new anti-corrosive zinc primers. These use hollow glass spheres and a proprietary activator to stimulate more zinc in the coating, ensuring a significantly higher galvanic effect than zinc primers without the AvantGuard technology. Furthermore, the unique formulation improves the coating’s mechanical strength, which is essential for applications where there are extreme temperature and humidity fluctuations. MPT will be exhibiting its complete portfolio, from large-scale dosing plants to small dosing units consisting of just one pump, along with its pipes and fittings. Also on show will be its Pulsair System, a pneumatic device for an uninterrupted mixing process. The Pulsair has no moving parts inside the tank, meaning nothing can break, removing any chance of the process coming to a standstill, which could require the tank needing to be emptied at great expense and inconvenience. The StocExpo 2015 exhibition runs alongside a two day conference programme, which boasts 30 global authorities from the bulk liquid storage sector. 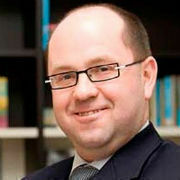 Experts from companies such as TanQuid GmbH & Co. KG, Mercon, UBS Bank, TopTank, Oiltanking North America and Petrol Storage Broker will focus on opportunities for growth in the tank storage industry, illustrate current changes in terminal safety regulations and finally outline ways to improve current efficiencies, costs and profits.